Uber Freight, the app that matches carriers with shippers much like the traditional Uber experience for drivers and riders, keeps growing and expanding into new territory. Upon the app’s fairly recent release in Texas, the most common reaction among users was drivers requesting Uber to expand into different states. Just recently, the company added a ‘Fleet Mode’ Feature to the app. This new feature allows dispatchers to directly book freight on behalf of their drivers . 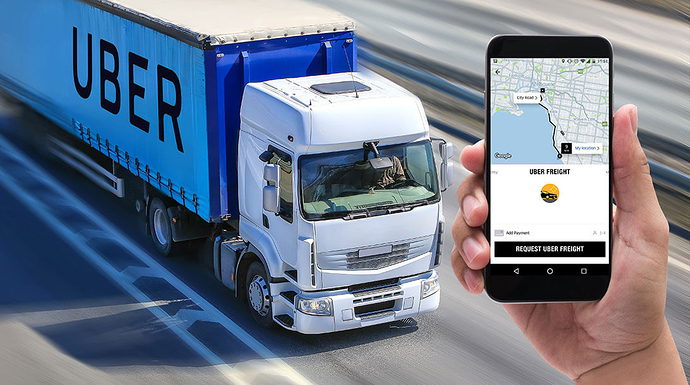 Uber is hoping to target smaller trucking companies with this new app addition — nearly 90 percent of all motor carriers operating in the U.S. have six or fewer trucks, according to the Federal Motor Carrier Safety Administration, the association regulating the trucking industry. Previously, the company was receiving requests from fleet owners wanting to work with them but they weren’t able to because the app was designed for owners with one truck. Now, drivers will still be able to book their own freight but this new update allows for more options for fleet owners. Users can now view a page listing drivers – each will be displayed as available, busy with another load, or offline. Once a customer chooses to book and assigns a load to themselves or another fleet professional, a notification alerts the driver on the other end. This organization is a more accurate representation of the moving parts involved, Eric Berdinis, the company’s senior project manager explained. This move by Uber is an effort in the right direction to better serve small business owners and improve efficiency and communication within the trucking industry. Though the app was only launched May, it is quickly gaining momentum and is expanding into new territory as highly-requested by users. However, not everyone believes Uber Freight is able to give the industry what it needs. You can keep updated on Uber Freight and read more about shipping & logistics on our blog.